As ships are moored or anchored in this port, you will be tendered ashore to Love Boat Marina. 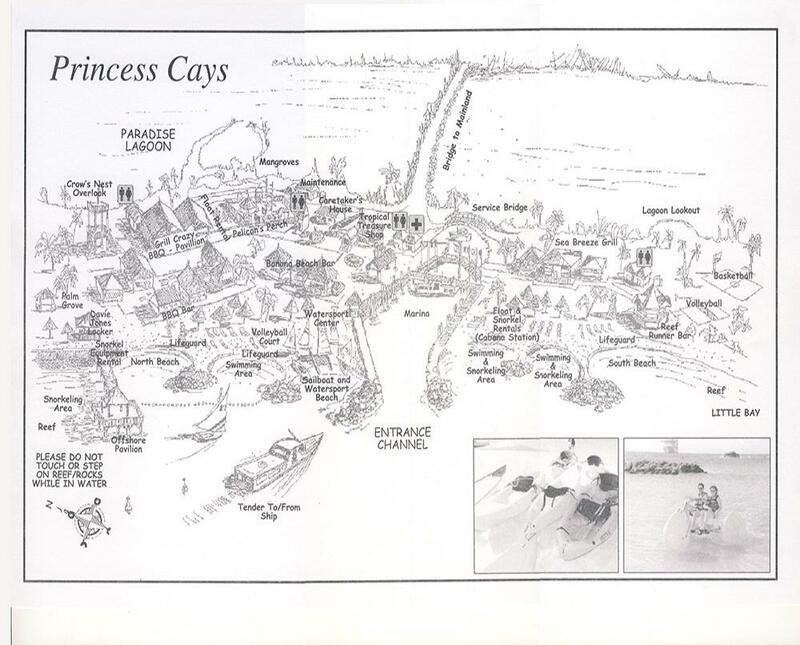 Princess Cays is a remote peninsula near the tip of Eleuthera Island, about 30 miles across the sea from Nassau. About forty acres of land are reserved exclusively for the cruise line's passengers. Activities at this Princess-only place begin and end at the beach. Swimming, kayaking, paddle boating, banana boating (visit and find out what that's about! ), snorkeling, jet-skiing, and parasailing fill the day. Kids have their own playground and pint-size "pirate ship" to occupy their time. Explorers will take to the trails to find the Crow's Nest, the Mangrove Lagoon, and the Lagoon Lookout.